In Kor-Azor Prime there is a planet named Eclipticum, in honour of the player who lead the team that won the first Amarr Succession Championship ever to be fought by capsuleers. Ascendent Frontier – one of the first major player-run nullsec powers – participated in a war between the Angel Cartel and remnants of Sansha’s nation. The player corporation Synenose Accords uncovered a conspiracy within CONCORD to cover up the re-emergence of Sansha Kuvakei’s minions. The Incursion expansion led to a whole slew of Sansha loyalist corps to emerge. The Arek’Jaalan project united players and story developers from CCP in a cooperative creative effort which drove the lore metaplot of New Eden forward. Not even in today’s predominantly hyper-pragmatist realpolitik gameplay of EVE is roleplaying and engagement with the lore fully absent. Of course, many people will be familiar with Max Singularity and his comedic take on Amarr culture, but there are other efforts too. The Arataka Research Consortium have applied themselves to unravelling the obscure mysteries of Jovian, Sleeper and Drifter lore. During the birthday of Curatores Veritatis or the coronation of the new Empress, multiple Amarr roleplaying afficionadoes showed up and participated in-character. The battle over Caldari Prime, which resulted in the destruction of the longstanding landmark Titan Shiigeru, drew different players from all kinds of backgrounds in EVE and Dust514. An entire article could be written just listing the big and small additions to EVE’s canonical backstory which have been generated or influenced through player activity. The purpose of this piece, however, is to argue why this is an aspect of the game that fulfills an important role for attracting new players and retaining them. It is often said that the fictional story of New Eden is irrelevant in the face of large player organisations forging their own path. Who needs to know about the history and culture of the Amarr Empire when there is such rich material generated by players that it can fill a book like Empires of EVE and its already fully financed successor volume? It might seem that worldbuilding in the fictional sense takes a back-seat when players create and drive their own narratives. Furthermore, EVE is a game of very complex mechanics which lead to sophisticated strategies and tactics developed by players in an effort to win confrontations, from 1v1 engagements to massive fleet battles. To know the mechanics of the game is of importance for a player who wants to be successful, but knowing the lore of New Eden does not offer any specific advantage. Theoretically there is no reason at all to spend any time with EVE’s fiction. Still, I argue that lore fulfills a really important role in the gaming experience. The desire of players to infuse their in-game characters with identities and a narrative should not be underestimated. The venerable Dungeons & Dragons game was conceived by a group of tabletop wargamers who were making up backstories for their military commanders and eventually wished to play as those individuals rather than abstract collective armies. A more comparable example is Warhammer 40K. Like in EVE, lore is practically irrelevant for successful gameplay. When players assemble their armies and field them against each other, they don’t benefit from knowing the history of any specific Eldar Craftworld or Space Marine unit, yet Games Workshop invests a lot of capacity to develop backstories for every aspect of the game, down to individual pieces of equipment and specific characters. Whole series’ of successful youtube channels and podcasts have been dedicated to compiling and presenting the body of lore which has been generated around that game, and it is highly popular with the players. The reason why this is getting so much attention from Games Workshop is not simply because they like to include fancy window-dressing, but because it contributes significantly to attracting players and keeping them engaged. When we choose a game to play, we do not simply look at the mechanics and decide whether we like them or not. In fact, most prospective players will not have enough in-depth knowledge to even make an informed decision about that when they first hear or read about a game as complex as EVE. What initially attracts many players is the look and feel as well as the theme of the game. Even if they became attracted to EVE by hearing about some massive space battle, a grand heist or a successful caper pulled off by spies and infiltrators, when they first start the game they have to choose which race and bloodline to play. In the past, there have been reasons to choose quite specifically if one would like to get an advantage in terms of mechanics. Caldari used to be the best choice for a PVE pilot or trader character because of the racial bonuses they received. Minmatar were a good choice in the times when the single most effective combat frigate was the Rifter. If a player wanted to get into PVP early, they would go for that race. Today, racial bonuses have been stripped from the game and frigates in particular got rebalanced to make almost all of them viable in their own way. That leaves a new player with basically two criteria when choosing a character: aesthetics and backstory. Many will of course choose the race which offers the most attractive looking characters or ships, but backstory does influence the choice as well. In the past – as I said – Caldari were the best for a starting character to begin making ISK, but since the racial bonuses have vanished, Gallente have become more popular. Both races are comparatively easy on the eyes, so the choice comes down to whether one wants to identify with a militaristic hypercapitalist society or a multicultural democracy. Minmatar and Amarr are less popular, but again players will have a choice whether they want to go for a member of an imperialist theocracy or a nation of plucky tribal rebels. Among the two, Minmatar are still more popular than Amarr, even though in terms of mechanics Minmatar characters are at a disadvantage considering that the ships they can fly early-on require much more diverse skill training to become effective. There has been research which indicates that players of computer games favour playing “good guys”, even in single-player games where all actions remain independent of other people. When we look at EVE we clearly see this reflected in the recent preference for Gallente characters; a race that is closest to our current ideal of a positive society. Even in those who choose to play Amarr – arguably the most negative stereotype in the game – we can see this manifesting itself. An Amarr roleplayer once told me “nobody chooses Amarr to play a good guy” but when we consider Max Singularity, we can see someone who comes up with all kinds of justifications why his “Space Pope” is supposedly a nice guy who does not endorse slavery and brutal conquest, but wants to spread a more positive version of the Amarr faith. We like to believe that we are contributing to something greater than ourselves in a positive way. We support faiths, causes, and ideologies which we think will turn the world into a better place, even in a game’s make-believe world. On the other hand, many of us also like to indulge our darker streaks in games, but should a player choose a to embody the role of villain, backstory becomes even more important. In fiction, villains with complex characters and motivations are more popular than stereotypical one-dimensional evil. Darth Vader is interesting because he is a flawed individual who has been lured to the Dark Side, Hannibal Lecter is popular because of his intellect, sophistication and charm. In EVE, Amarr roleplayers have delved deep into the lore of the Empire to work out motivations and justifications for their character’s actions as well. Simply playing a one-dimensional religious zealot is just not satisfying in the long run. Caldari roleplayers construct narratives that justify harsh military action on the basis of past atrocities committed against them. Even on the Gallente side are villains, they tend to take the form of cultural supremacists who truly believe that they are doing other civilisations a favour by “educating” them, whether they want it or not. Affinity, immersion and identification with the character in-game are not only nice extras to keep the players entertained, they also help the business more directly. Other game studios have done that successfully, and so could CCP. 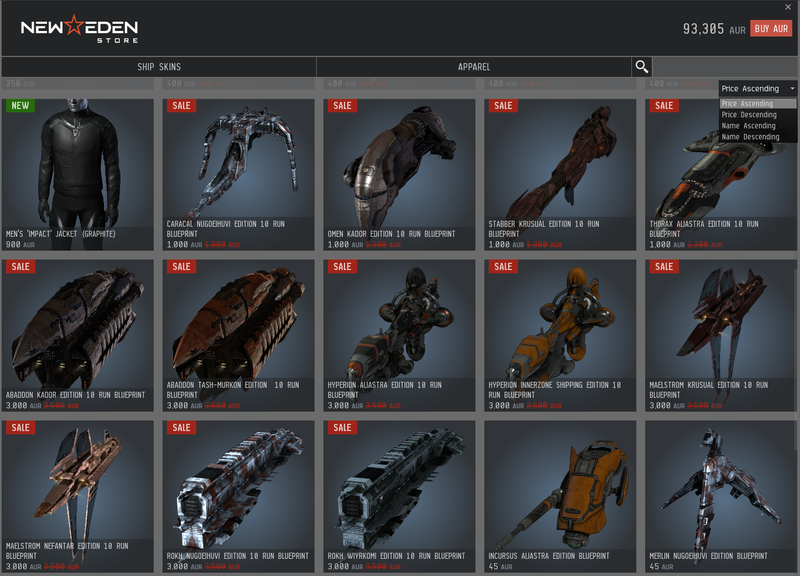 Microtransactions have entered EVE with ship skins and different vanity items for character portraits. While inconsequential to gameplay, they are nevertheless acquired by players, which in turn generates a revenue stream for CCP. My earlier example – Games Workshop – are nothing if not business driven. When they develop their different units and give them backstories which immerse the players into the game world, they create a motivation for customers to buy paints, models and books. The more strongly a player identifies with a specific race or unit type, the more effort they will invest to make them look as good as they can and to round off their armies with legendary leaders or war machines. In EVE’s microtransaction model we can also see this applied to a small degree. There are skins like Valklear Glory or Raata Sunset which are references to the lore, but as with many things, CCP leaves loose ends dangling there. Choosing such a skin remains a purely aesthetic choice, and there is no strong motivation included in the game why a player should choose one over the other, or why they should bother to spend money on that in the first place. The same goes for cosmetic alterations and clothing items for characters. Most items are pretty generic and offer little variation between the races. I have had many conversations with players who said that they would spend ISK and even money on cosmetic items if only they were more representative of the character’s culture and background. This is of course no properly conducted market survey, but there is clear evidence in the form of other games that a richer backstory helps to influence purchasing behaviour. Games Workshop has understood that and use worldbuilding as a central tool for marketing. CCP clearly do not assign it the same priority, otherwise, they would not keep laying off fiction writers, live-event GMs and story developers. The EVE lore-team is a rump of what it once was. Most of the developers who work on this part of the game do so in between other jobs, and the effects are showing. The metaplot development of EVE has progressed at a halting pace. The Gallente have had a new president for years, the Minmatar Republic has changed its model of government, the Caldari State has thrown off the shackles of a fascist dictatorship and a new Amarr Empress was crowned recently, but apart from a few inconsequential news items, no specific change in the game world resulted from all that. Players who are attracted to the game because of its world and backstory are left wanting. If they do not find their way into a specific group and playstyle that is completely divorced from in-game lore, they will lose interest. This problem doesn’t only affect casual PVE players and the die-hard roleplaying crowd, it also appears at the root of the issues affecting Factional Warfare. While this part of the game is technically the closest thing EVE has to regulated arena-style PVP, it is also strongly embedded in the game’s backstory. Players who join Factional Warfare often lament that their actions do not have any lasting consequences. A similar problem affects lowsec pirates, Shansha loyalists and everyone outside sov-nullsec who wants to give their PVP narrative meaning or conduct their PVE as more than just site farming. Even in the parts of the game where emergent player behaviour reigns supreme – nullsec and wormhole space – the immersion factor remains important. Many activities necessary to maintain a presence in those areas can be tedious and time consuming. Players usually divert themselves during those chores with any number of different interactions on comms and in chats. It would be a sign of health if such idleness were instead dedicated to the backstory of the game and its changing nature, influenced by them. It is certainly an indicator of successful game-design if the players are engaged with their fictional world, even when they are dealing with its most tiresome mechanics. CCP are wasting a great opportunity there because compared to corporations like Games Workshop they have an advantage. They can react to actions by players in their single-shard universe and change its characteristics accordingly. There is no way for the developers of Warhammer 40K to know whether Tyranid players achieve enough victories against their opponents to merit writing their success into the metaplot as progress of a specific Hive Fleet, but if CCP had the people to do so, they could reflect the campaigns of highsec gankers or lowsec power-players onto the world. At the time when CCP still had more people dedicated to story development, they did account for the actions of players in their worldbuilding. When the Caldari Militia first conquered the whole warzone, their victory prompted CCP to have the Providence Directorate auction the systems in Placid and Black Rise to the highest bidder. In the game world that caused an Intaki uprising and further developed Ishukone’s special role among the major Caldari corporations. The Arek’Jaalan project changed the way we understand the relationship between New Eden and Anoikis. Players determined who became ruler of the Amarr Empire and that had actual political consequences. 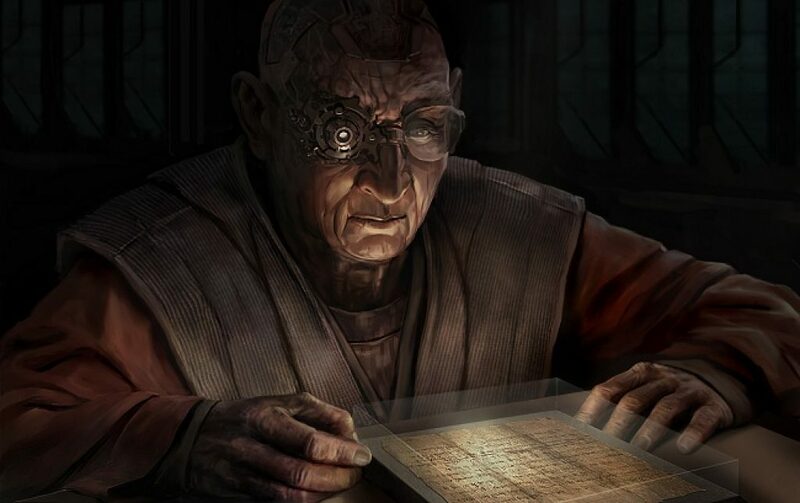 The whole storyline around Dochuta Karsoth’s subversion of the Empire’s rulership and the ascendency of Jamyl Sarum was tied directly to the result of that first Succession Trial happening in the game. 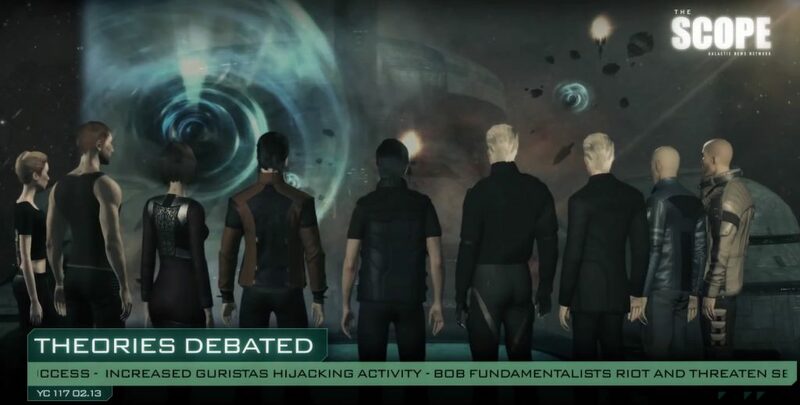 When the CONCORD coverup of Sansha activities was discovered by players, the theme returned in chronicles and with the actions of NPC actors played by CCP employees. CCP – and any number of involved player volunteers – could continue to serve as joint chroniclers of an evolving world. Even if in-game consequences are kept to a minimum, players would be motivated by the chance of seeing their actions recognised. In recent times, CCP have done this with little details and sometimes even explicit mentions of players during their SCOPE videos, but yet again this is the work of one dedicated developer whose main job is something else. I am convinced that both the game and the company would benefit if they took a more proactive approach to developing New Eden’s lore again. They just introduced a completely new race. 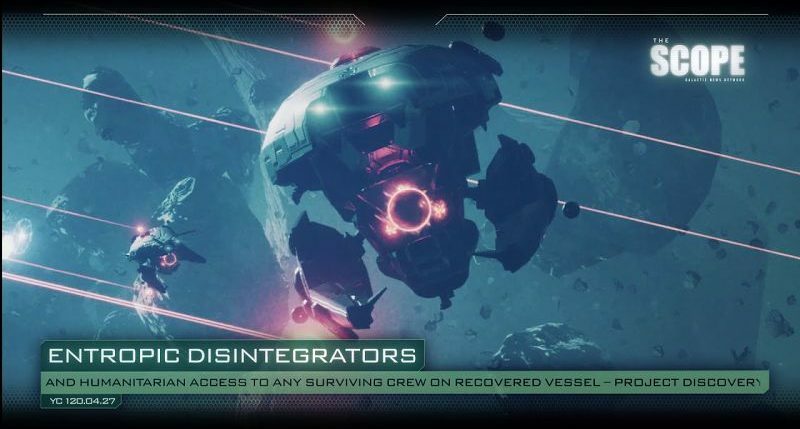 It would be a missed opportunity if the Triglavians remain just another hollow mechanic to be farmed without any real context, immersion or opportunity to engage further. 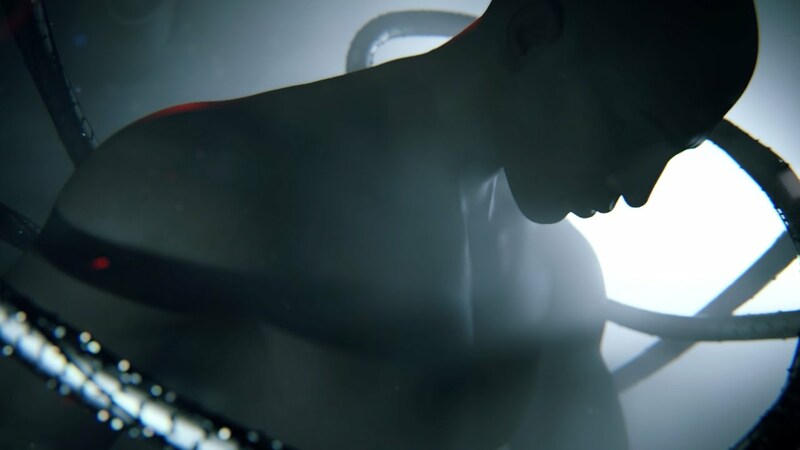 At the beginning of their Fanfest 2015 trailer CCP included the caption “In EVE Online the story is not real until players become part of it”. This is a declaration of support for emergent lore that involves the players. You were on to something there CCP, don’t lose sight of that goal.